Picture taken in Campbell River by Karen Holmes. 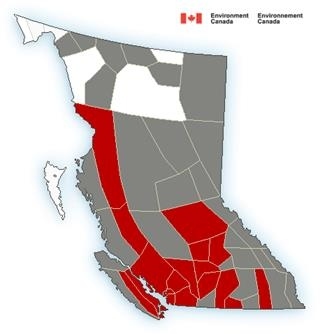 Very few parts of the province are without a weather statement or warning today. East and Inland Vancouver Island are still under a Heat Warning. Now, thanks to wildfire smoke wafting over the region, we can add a Special Air Quality Statement to the map. 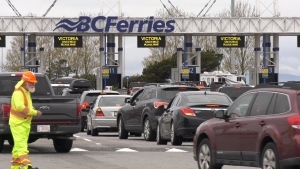 Similar conditions persist through other parts of B.C. today, too. Temperatures are on track to peak in the high 20s to mid-30s again this afternoon. That’s been the norm for more than a week, and part of the reason the Heat Warning was issued in the first place. But there is some relief on the way, as temperatures cool down a bit and return to seasonal average in the second half of this work week. That’s good news for the nearly 50 per cent of poll respondents who said they hate this hot weather! Increased cloud associated with cooler marine air will spread onshore Tuesday and Wednesday bringing temperatures closer to “normal”. We might even see a few sprinkles of rain before the end of the long weekend. Any rain that comes our way will be a welcome change. The last time it rained in the Capital Region was July 9th. Total rainfall that day amounted to 0.8 millimetres – hardly enough to water the gardens. Overall, July has been quite dry with just 2.2 millimetres of rain measured at Victoria International Airport since Canada Day, well below normal (average rainfall in Victoria in July is 17.9 millimetres). The dry stretch has certainly elevated drought conditions. 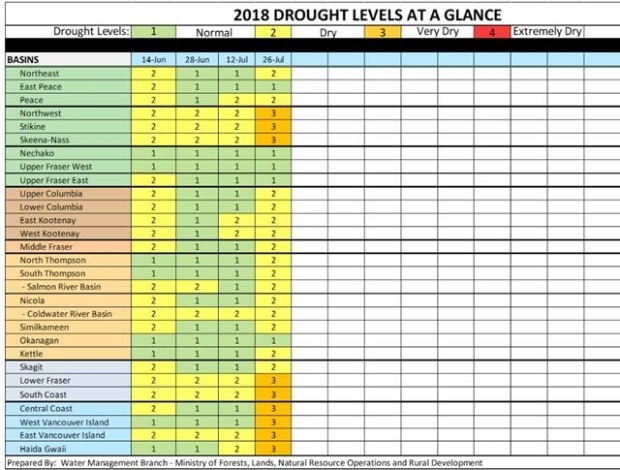 The South Coast and parts of Vancouver Island have reached Level 3 or “Very Dry” on the official drought metre. Back to the Special Air Quality Statement issued for Vancouver Island. You’ve probably noticed today’s sunshine is muted by haze. Wildfire smoke is blanketing the area preventing the sun’s strong rays from hitting us at 100 per cent. 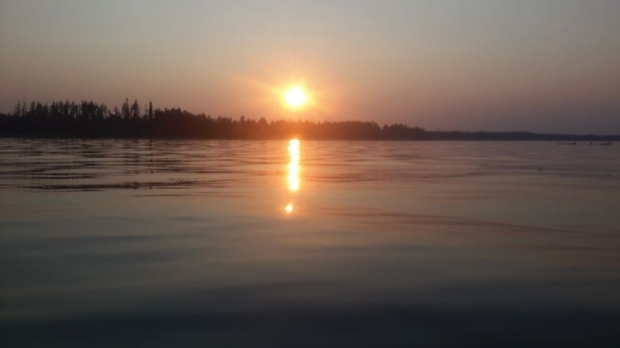 A Smoky Skies Bulletin has been issued offering tips on how to reduce your exposure and stay up to date on current conditions. Until winds increase and change direction, we can expect hazy conditions to be the norm. Tomorrow will be sunny with a smoky haze over the Capital Region. The shift will take place later this week, around the same time temperatures cool and return to normal.